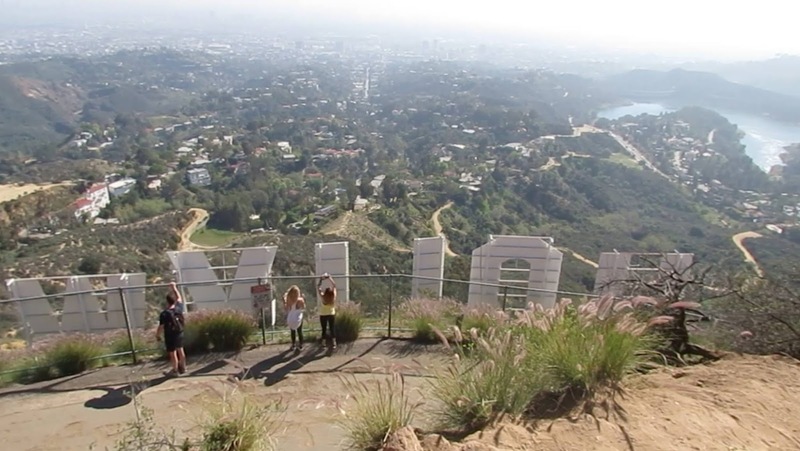 A landmark in itself the Hollywood sign has become a cultural icon and worldwide symbol of the entertainment industry over the years: what started as an outdoor advertisement for a housing development became synonymous with glitz, glamour and many American dreams. As with a lot of LA parking permits are required along most side walks, we found a lot of conflicting information online about the parking due to road closures and street cleaning times. We completed the hike mid-week but have been told that there is no parking at the weekends. During the week you can park on Beachwood Drive, (3000 N Beachwood Drive, Los Angeles, CA 90068) if you set your satnav/GPS for this address it’ll take you as close as you can get to park. Once you've parked up, simply walk up Beachwood Drive, it should take you around 10-20 minutes to walk up depending on how close to number 3000 you can get. You’ll soon reach a large brown gate, when we arrived there was security guard, he’s there to ensure no one parks within the lot by the gate, don’t worry about him - they’re very used to seeing hikers. 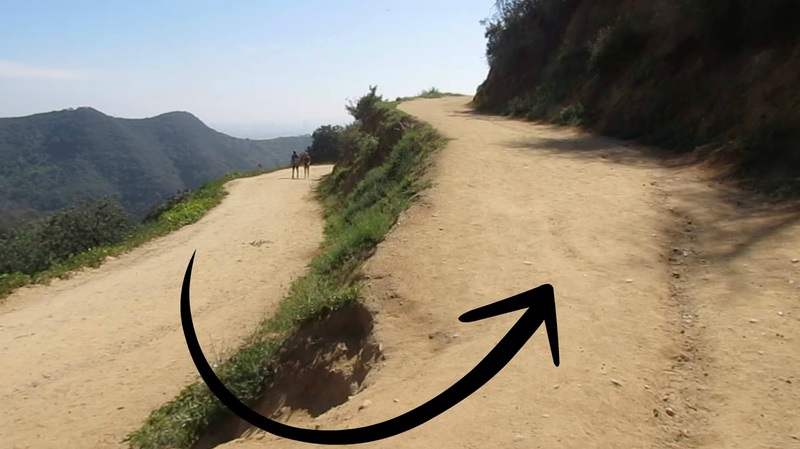 The walk from the gate up to Sunset Ranch is a little steep and on a dirt track, but is a fair indication of the rest of the hike – if you really struggle here I wouldn't recommend continuing. 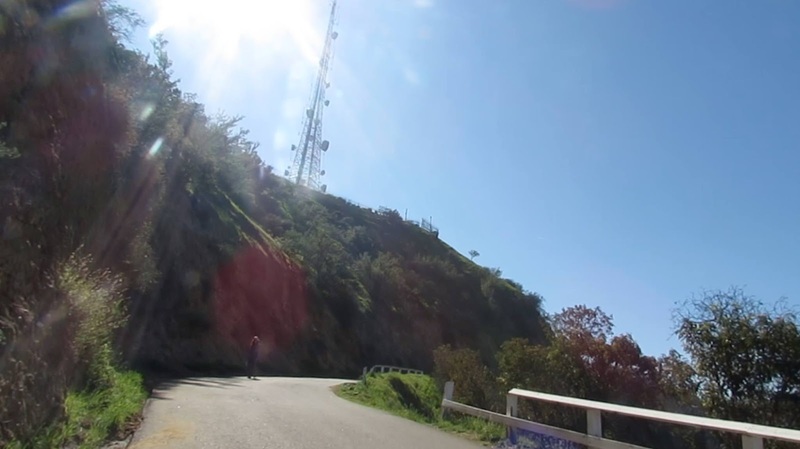 This route takes you up Mount Lee and behind the Hollywood Sign, where (on a clear day) you’ll see amazing views of LA, as well as an upclose view the mountains which separate LA from the desert and Palm Springs. When you reach the Sunset Ranch parking area, you’ll see a path heading off to the right with a Bear wearing jeans marking the route. 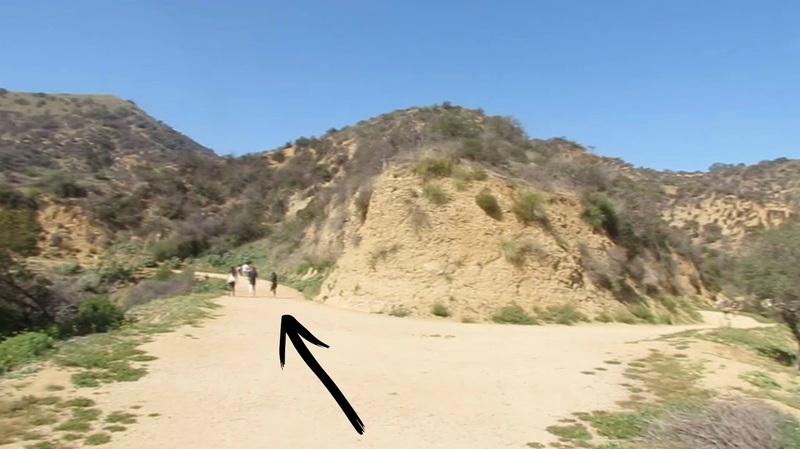 This is the trail head to the Hollywood Hills hike and will take you up to a viewing platform where you’ll be directly in front of the Hollywood Sign. 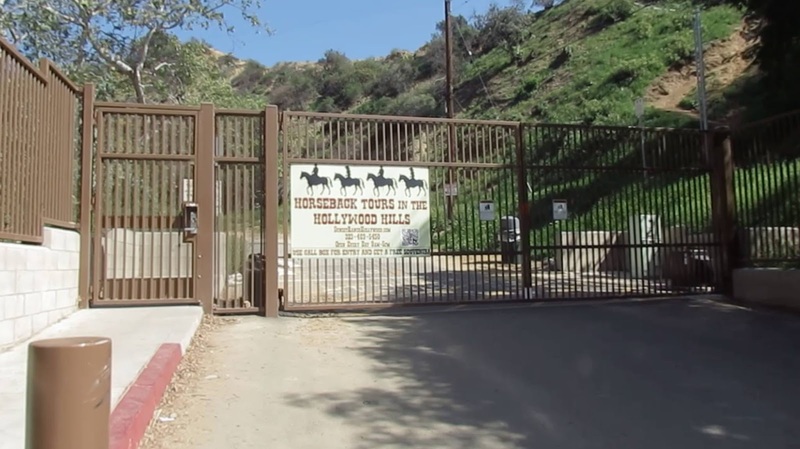 The next thing you’ll reach is a little junction in the trail (this is about 0.05 miles in), follow the hike around to the left here (if you get lost simply follow the horse poo – the ranch offer a Hollywood Hills tour on horseback and cover the same base route as hikers) and you’ll pass the Horse Farm on your left. A little further up you’ll reach a ‘Y’ junction, the horses go right and you should continue straight ahead. A crucial turn will meet you next, take a sharp left otherwise you’ll end up on a whole other hike. This path will take you around to a tarmacked path, continue following this round and you'll start to see the giant antenna from the maintenance building close by the sign. 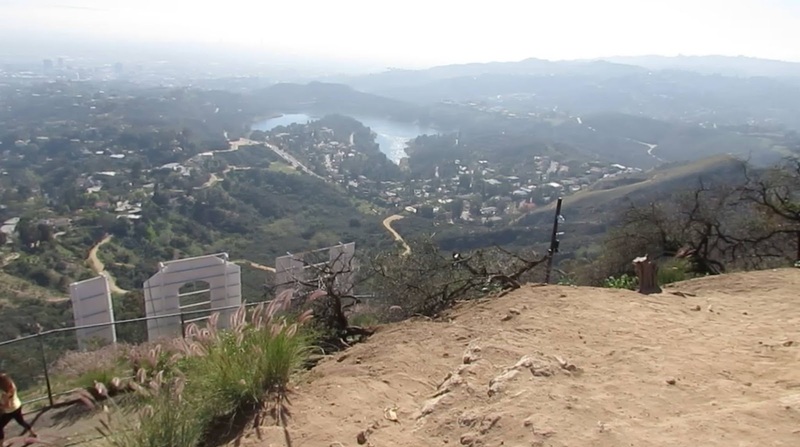 As you get further along this path, looping up behind the sign a white wooden fence will start to run alongside you on your right, with amazing views across Burbank. Do look out for a little gap in the mountain on the left, as it leads up to a little mound which offers some lovely views out across down town LA. Enjoy the view from here before continuing round the path and up to a little mud-track hill, it's a little steep but persevere if you're struggling as the 360 degree view from the top is really something special (although definitely consider angles when taking photographs as my legs look quite hilarious in our photos)! Tweet me @sarahrharrison to let me know how you found our route!